College acceptance is the starting line of our career track. In the beginning it seems like it’ll take forever, but I promise you it goes by fast. It’s vital that we quickly recognize our resources. Campus has everything you need to prepare you for “the real world” starting from the classroom out- and it’s in your interest to milk it for what it’s worth. As a graduate, I’m nostalgic for heated class debates and intellectual discussions. Class might not be everyone’s cup of tea, and this is totally ﬁne. Luckily not every professor takes attendance. To pour a little milk in your cup, more professors are using Twitter and blogs to keep you updated on what’s going on. Getting to know your professors is a key resource along your career path. Not only do they have experience in the ﬁeld you're studying, connections, and amazing advice, they can also be the deal breaker in getting your future job with a little thing called a letter of recommendation. Unfortunately, if you’re shy in class, don’t go, or are in a huge lecture hall this doesn't come natural. Sophomore year, my ﬁrst communications assignment was to follow my professor on Twitter. I thought it weird at ﬁrst, but soon realized his intention was to get to know our interests and keep us updated on related news. Adding my professor on Twitter led me to related inﬂuencers and ideas outside of the class and in the real world. We continued to brieﬂy exchange ideas that opened my mind and scored me some brownie points. I realized that by adding my professor on Twitter early on made me extremely mindful of what I posted. Class credit or not, these are some reasons to follow your professors on social media. Around senior year, professors will start to sneer at the sight of sweat pants, hoodies, and Uggs in the classroom and turn you away if you’re late. Why? Because you’re heading into the real world, and you should be in the swing of good habits. Being present on your professors' social media sites will force you to clean up yours. You wouldn't want your professor- let alone a future employer- to see you sloppily drunk or hungover, right? Employers are looking to your social media sites at an increasing rate to see what you’re like before they hire you. Keeping your online presence professional early on will make your life much easier, and your history more credible, when you embark on a job search. Your professors are the gateway into the ﬁeld you're studying. If you've committed to a ﬁeld, I assume it’s your interest or passion, so you’re game for all the inspiration you can get. Check out who they follow and what they post- you’ll be up on new ideas that you can bring into class discussions or your projects, and put you up on some new connections. I mentioned before the letter of recommendation. At least once in your life, you’re going to need one- for grad school, studying abroad, or upon your future employers request. A good recommendation from a professor endorses your supposed qualities. Staying connected on social media keeps your professor updated on what you’re doing during college and after you graduate. They have so many students, it’s hard to keep tabs on every single one. Exchanging brief ideas occasionally will keep you and your good qualities fresh in their mind. I love to see professors and teachers changing with the times. They’re doing their part, so do yours and meet them half way. The beauty of college is there is no one looking over your shoulder telling you what you should and shouldn't do. It’s the ﬁrst step into the real world. Social media and the Internet are like a permanent record- everything you post or someone posts about you is etched in stone. Don’t display something you wouldn't want to explain to your professor, and/or a future employer. College and social media are all what you make of them, so make the best of your time and prepare yourself for the cruel cold world awaiting you. With your luck and my tips, you might slide through the job search with a hot cup of tea and some extra milk on the side. Being present on your professors' social media sites will force you to clean up yours. 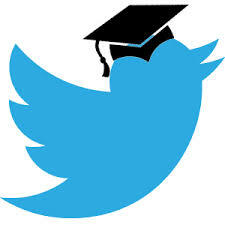 Social Media: The New Game Changer for College Applicants?